Designed with British weather in mind the Outfitters collection offers protection against the elements. 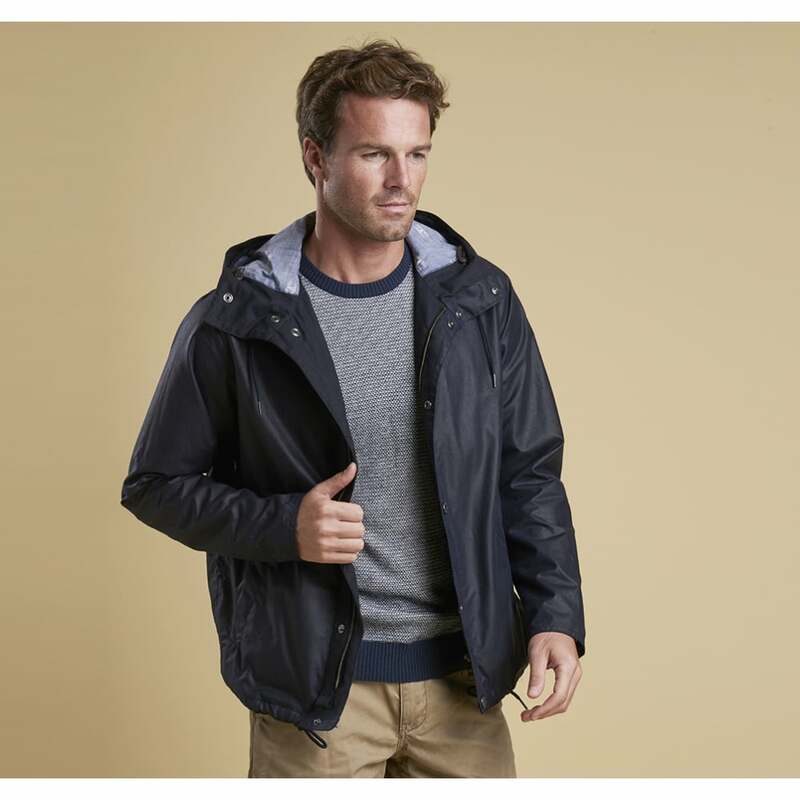 The Lands jacket features a fixed hood and inner sleeve lining to give a casual twist to a modern rain-coat. Zipped welt pockets ensure your valuables will be kept safe and sound. Designed in a summer weight 6oz Sylkoil it provides protection from the elements. Bring on the Rainy Weather!